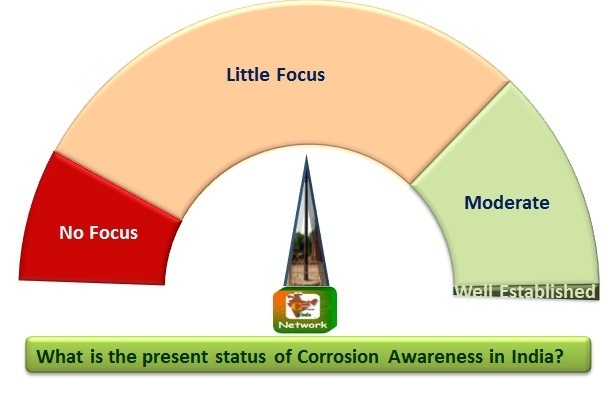 Iron Pillar Dashboard for Corrosion Awareness in India. Thanks for your query. Several investigators have stressed the importance of the material of construction as the primary reason for its corrosion resistance. Prof Bala of IITK has classified the proposed theories into two categories: Environmental Theory and Material Theory. Environmental theory states that the mild climate of Delhi is responsible for the corrosion resistance of the DIP as the relative humidity at Delhi does not exceed 70% for signicant periods of time in the year which therefore results in very mild corrosion of the pillar. High resistance to corrosion is due to the composition of iron with high phosphorus content conferring protection by the formation of an even layer of crystalline iron hydrogen phosphate. If you are interested to view the research articles published on this subject, I will share the links here. What is your domain?